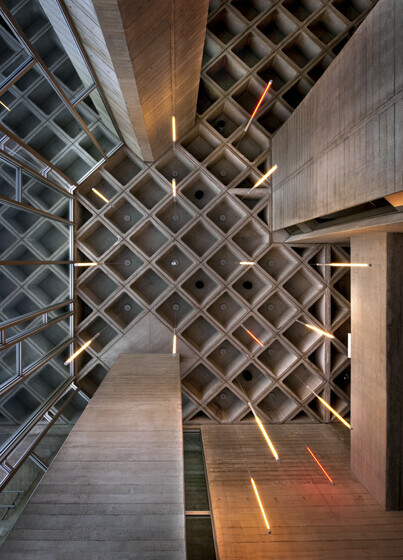 The renovation of a number of key areas of this iconic 1960s Brutalist period building. 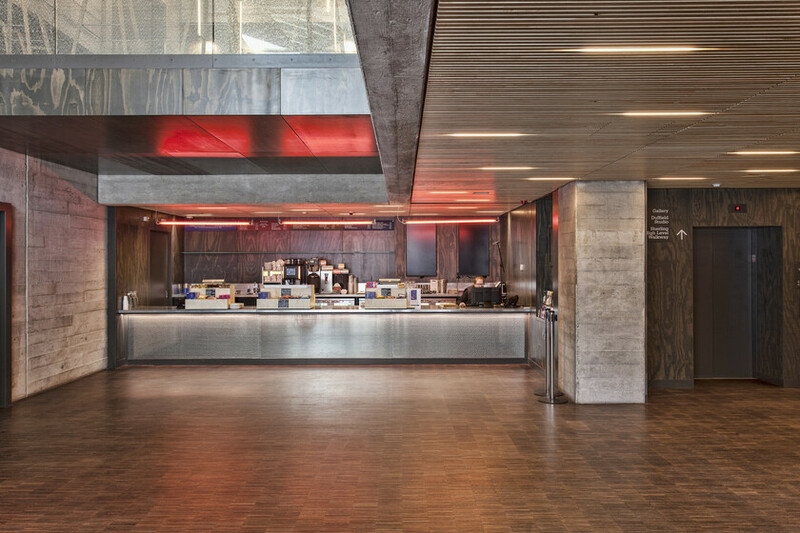 The programme at the Royal National Theatre included a new workshop extension, and the revamping of the Cottesloe (renamed the Dorfman Theatre). Further phases of the project included a new riverside entrance, cafe and bar, and the complete re-lighting of the foyer areas. Atelier Ten also were instrumental in the environmental masterplan which included replacement of the central heating and cooling plant and the phased addition of a CHP unit. 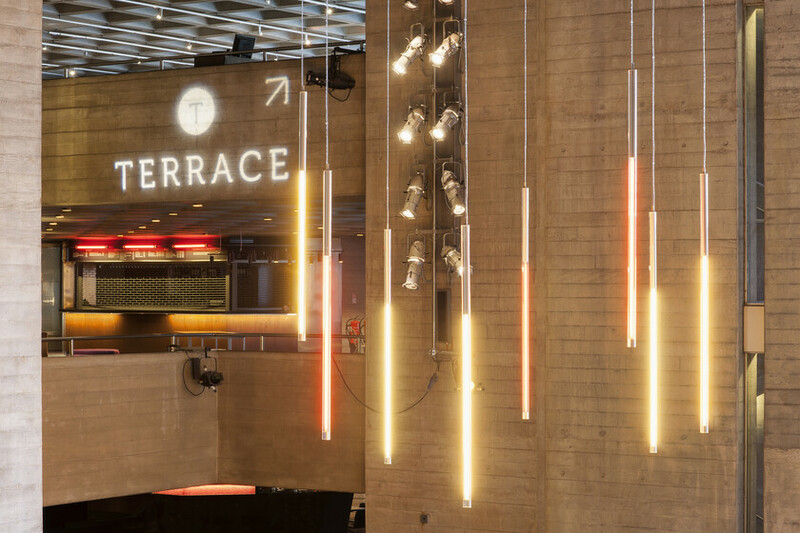 Within the main foyers a previous refurbishment had diluted the drama of Denys Lasdun’s original design; Atelier Ten developed a new lighting concept to play with the balance of darkness and light. 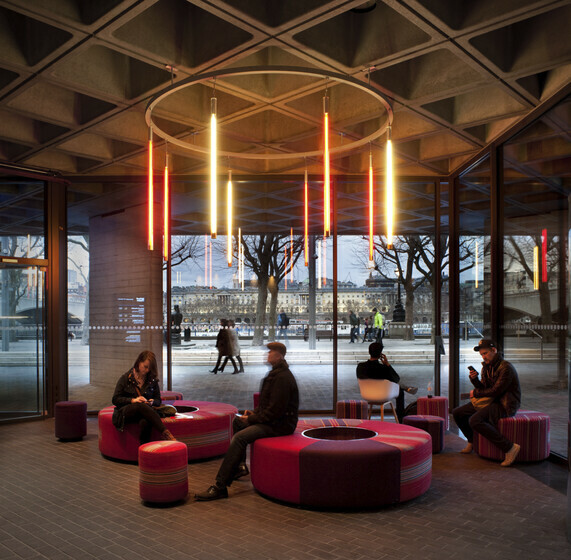 The lighting design creates a sense of darkness by minimising the spill of light onto the diagrid of concrete coffers. 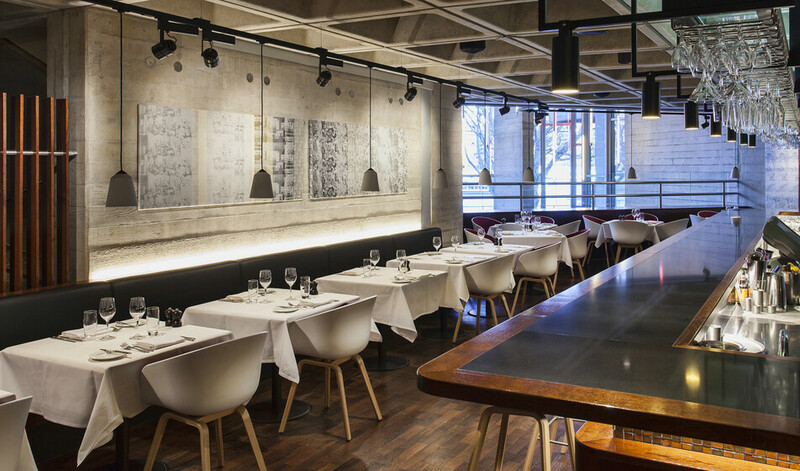 A family of over 40 custom luminaires were developed to bring a sense of unity throughout the new and refurbished spaces, and anodised to match existing finishes. 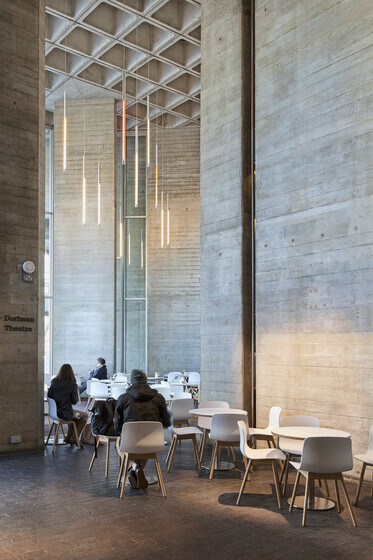 Not only did Atelier Ten’s lighting design provide the drama, sense of place, and functionality required of the theatre, but the lighting design also has been key in reducing the energy use of the National Theatre. The lighting system itself uses only 30% of the energy of the previous scheme. 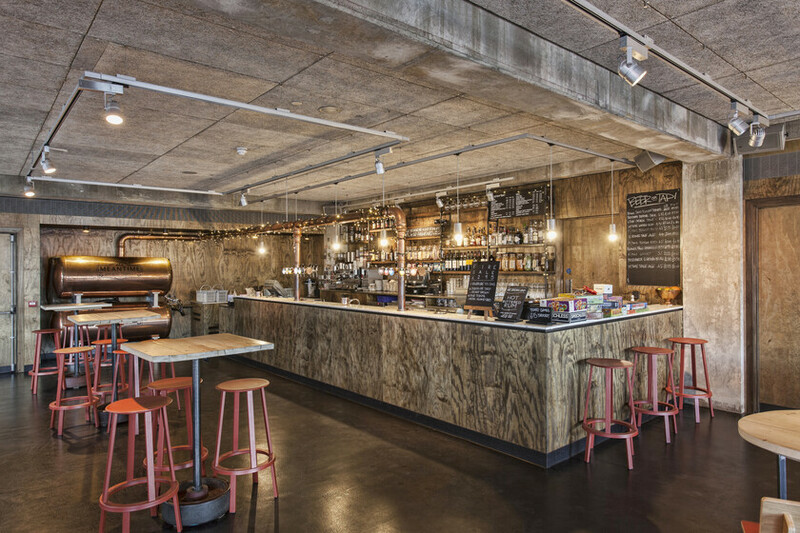 The replacement of the central heating and cooling plant started with an energy survey and overview, we considered the relationship of the theatre to the South Bank and wider London area in the implementation of strategies and energy saving measures. 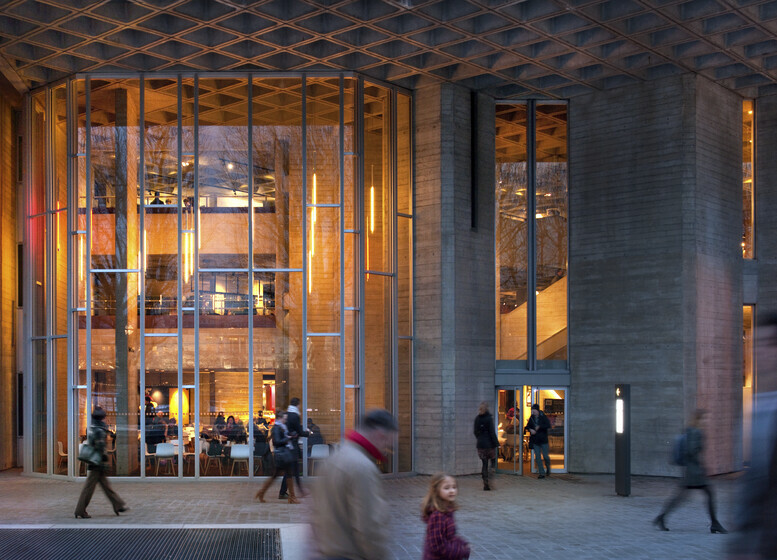 One of the first projects we undertook at the National Theatre was the replacement of boiler and chiller plant with the addition of a CHP unit. The upgrade included an absorption chiller with a phase change thermal buffer store. The next phase of the project was the construction of a new extension to the rear of the building to house a scenery paint workshop and office spaces. 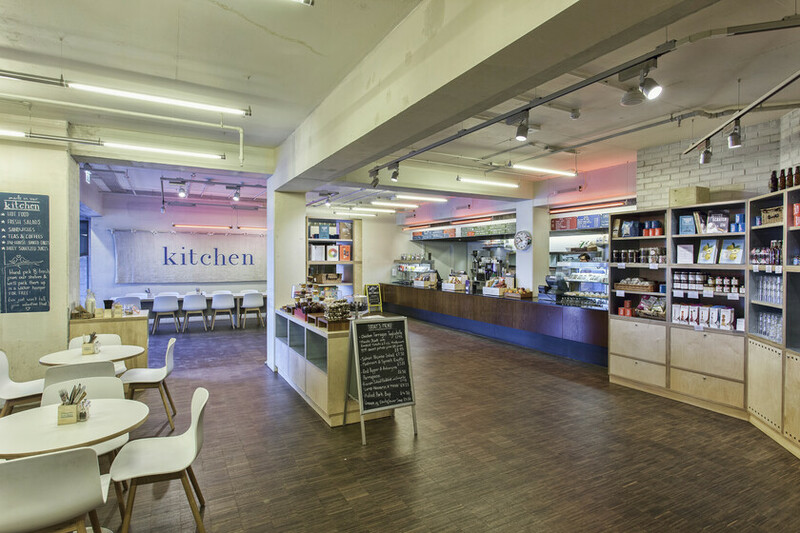 In parallel the existing workshop areas were refurbished and re-serviced throughout. Our design for the new extension includes ground source heat pumps, rainwater harvesting and the use of natural light to target carbon savings of 30%, and achieve a BREEAM Excellent rating. 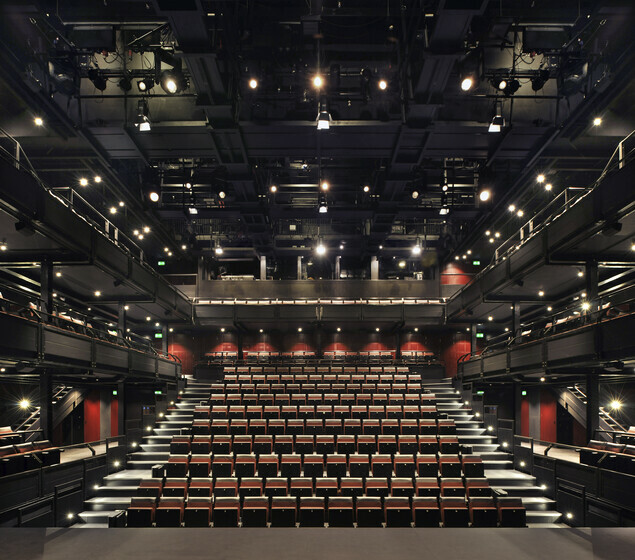 The existing Dorfman Theatre was renovated with a new displacement ventilation system for improved comfort and efficient lighting.